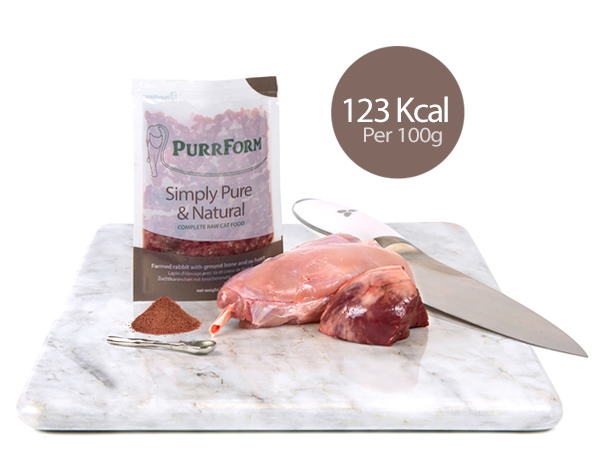 PURRFORM Beef Trim and Ox Heart is a complementary natural raw cat food, that contains nothing more than the ingredients listed. 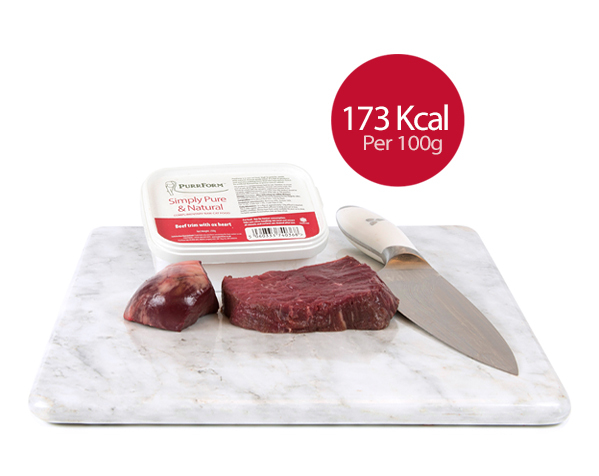 Our Beef Trim is 95% lean, human grade meat. It has no bone and is therefore suitable for both kittens and adult cats. 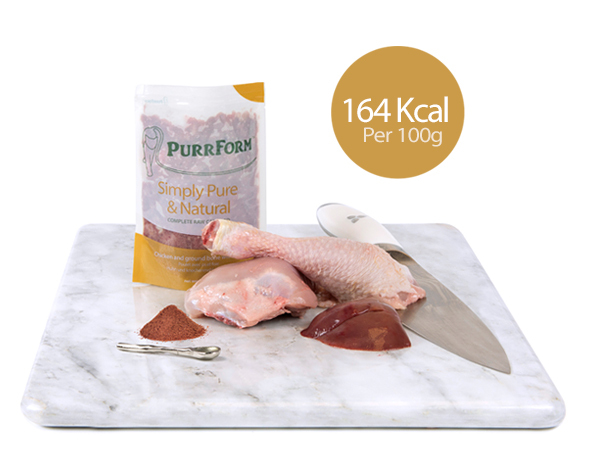 This can be fed once or twice a week, as an alternative to our other complete cat food products, to give your cat some variety in its diet. 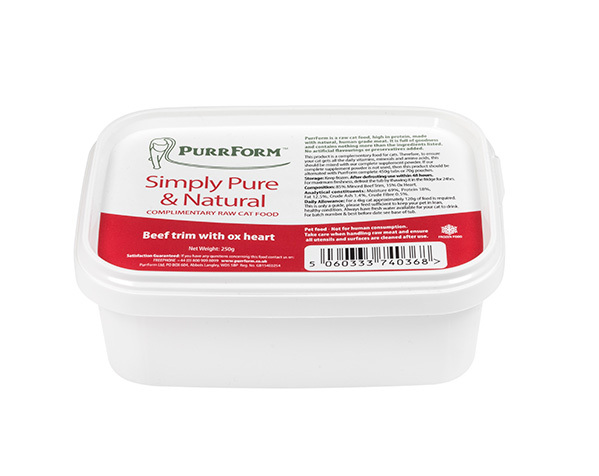 To ensure that your cat still gets all the vitamins, minerals, & amino acids, including taurine, on a daily basis, we have also developed our own Purrform Complete Powder Supplement which has been specifically formulated to be used in conjunction with this meat product, to make it a ‘complete’ food. 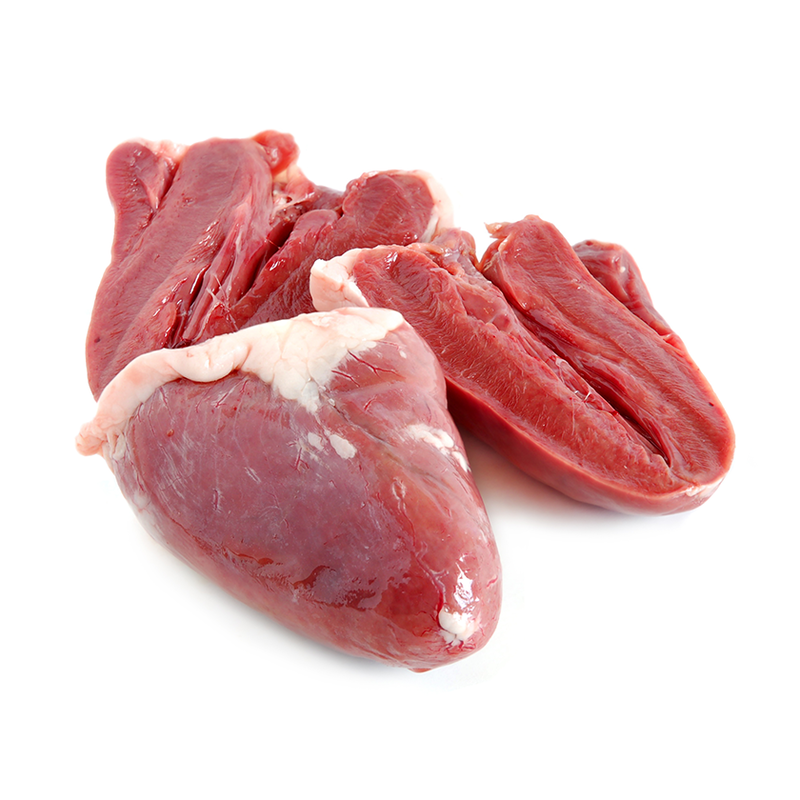 Composition: 85% Minced Beef Trim, 15% Ox Heart. Analytical constituents: Moisture 69%, Protein 18%, Fat 12.5%, Crude Ash 1.4%, Crude Fibre 0.5%. Daily Allowance: For a 4kg cat, approximately 120g of food is required, per day, spread over 2 meals. 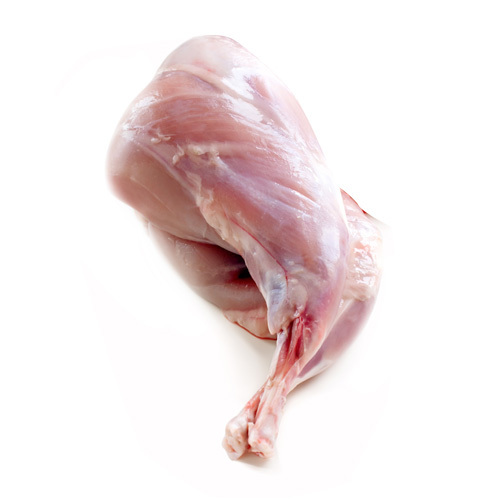 This is only a guide, please feed sufficient food to keep your pet in a lean, healthy condition. Any items ordered before Monday Midnight will be delivered on Wednesday and any orders placed before Wednesday Midnight will be delivered on Friday. All our goods are packed in polystyrene boxes with several ice sheets to ensure that our product reaches you fully frozen, in perfect condition, even if the goods are left until later on the delivery day. You will receive an email from the courier to give you an update on where the delivery is. You DO NOT have to be available to sign for the delivery. When you checkout, there is a text box for you to leave special instructions on where the parcel(s) can be left if no one is in.